White distilled vinegar is a popular household cleanser , effective for killing most mold, bacteria, and germs, due to its level of acidity. Cleaning with white distilled vinegar is a smart way to avoid using harsh chemicals. You’ll also be glad to know that it is environmentally and very economical. House Cleaning Services To shine chrome sink fixtures that have a lime buildup, use a paste made of 2 tablespoons salt and 1 teaspoon white distilled vinegar. Condo Cleaning Clean the wheel of a can opener using white distilled vinegar and an old toothbrush. Residential Cleaning Remove the smell of spoiled food from a refrigerator by first rinsing the area with soap and water. Spray surfaces with full-strength white distilled vinegar and wipe them down with a damp cloth or sponge. Fill some containers with baking soda and place inside. Close the door and leave for a few days. Home Cleaning Wipe grease off exhaust fan grids the inside of your oven, or anywhere grease gathers with a sponge soaked in white distilled vinegar. Maid Cleaning To make cleaning the grill easier spray a solution of half water and half white distilled vinegar on the cooking surface. 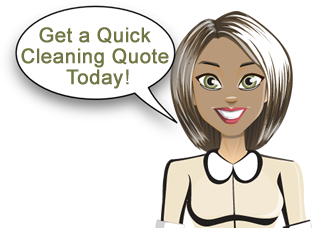 Cleaning Houses To remove a label, decal, or price tag cover with a cloth soaked in white distilled vinegar. Leave the cloth on overnight and the label should slide off. Cleaning Apartment Renew sponges and dishrags by placing them in just enough water to cover them. Then add 1/4 cup white distilled vinegar. Let them soak overnight. Cleaning Condo Get rid of calcium deposits on faucets by soaking a cloth or paper towel in white distilled vinegar and wrapping the area tightly. Let this sit for a couple of hours or overnight. Cleaning Home Rid a faucet of lime deposits by tying a plastic bag containing 1/2 to 1/3 cup of white distilled vinegar around it and leaving it there for two or three hours. If mineral deposits don’t wipe off, scrubbing with an old toothbrush should complete the job. Cleaning Maid Shine colored porcelain sinks by scouring them with undiluted white distilled vinegar. Apartment Cleaning Services Kill germs all around the bathroom with a spray of full-strength white distilled vinegar. Wipe clean with a damp cloth. Residential Cleaning Services To remove grime, mildew, and scum from the tub, tile, shower curtain or door, wipe with undiluted white distilled vinegar. Rinse with water. Home Cleaning Services Spray shower doors with full-strength white distilled vinegar after you’ve squeegeed the glass, or before you step in and turn on the water. It will help release the hard water deposits so they don’t remain on the glass. Maid Cleaning Services Mix up an inexpensive tile cleaner by adding 1/2 cup baking soda, 1 cup white distilled vinegar, and 1 cup ammonia to a gallon of warm water. Cleaning Home Services Get rid of stubborn bathtub film by wiping it with white distilled vinegar and then scouring with baking soda. Cleaning Apartment Services Clean shower door tracks by filling them with white distilled vinegar and letting it sit for a few hours. Pour hot water into the tracks and wash and scrub away the scum with a toothbrush. Cleaning Residential Services To clean a scummy showerhead pour 1/2 cup baking soda and 1 cup white distilled vinegar into a sandwich bag and tie it around the showerhead. Let this set for an hour after the bubbling has stopped. Remove the bag and then turn on the water. Cleaning Home Services Deodorize the toilet bowl by allowing 3 cups white distilled vinegar to sit in it for about a half hour before flushing. Cleaning Maid Services To make the toilet bowl sparkle pour in a cup or more of diluted white distilled vinegar and let it sit several hours or overnight. Scrub well with the toilet brush and flush. Apartment Cleaners Freshen air in the bathroom by spraying into the air a solution of 1 teaspoon baking soda, 1 tablespoon white distilled vinegar, and 1 cup water. Maid Service Deodorize the garbage disposal by pouring in 1/2 cup baking soda and 1/2 cup hot white distilled vinegar. Let sit for 5 minutes then run hot water down the disposal. Cleaning Condo Services Remove carpet stains with a paste of 2 tablespoons white distilled vinegar and 1/4 cup salt or baking soda. Rub into the carpet stain and let dry. Vacuum up the residue the next day. (Always test on an out-of-sight part of the carpet first). House Cleaning Avoid the bad smell when you heat up a newly cleaned oven by using a sponge soaked in diluted white distilled vinegar for the final rinse. Maids Remove ugly film in narrow-necked glass jars flower vases, and bottles by letting undiluted white distilled vinegar sit in them for a few hours. Add a little rice or sand and shake vigorously to loosen stubborn stains. Repeat if necessary. For stained and smelly plastic food containers wipe them with a cloth dampened with white distilled vinegar. To clean tarnished brass, copper, and pewter use a paste with equal amounts of white distilled vinegar and table salt. Apply full-strength white distilled vinegar directly to tough linoleum stains Leave it on for 10 to 15 minutes before wiping it up. If that doesn’t work, apply white distilled vinegar again and then sprinkle some baking soda over the white distilled vinegar. Scrub the area with a brush or sponge. Rinse clean with water. For an economical and environmentally friendly floor cleaner mix a solution of 3 drops dishwashing liquid to 1/3 part white distilled vinegar, 1/3 part alcohol, and 1/3 part water. Spray sparingly and mop for a fast clean-up. To kill germs spray full-strength white distilled vinegar on doorknobs and then wipe them dry. To clean a grease splattered oven door windowsaturate it with full-strength white distilled vinegar. Keep the door open for 10 to 15 minutes before wiping with a sponge. For cloudy glassware soak paper towels or a cloth in full-strength white distilled vinegar and wrap around the inside and outside of the glass. Let sit awhile before rinsing clean. Please check back for more great cleaning tips in the future!